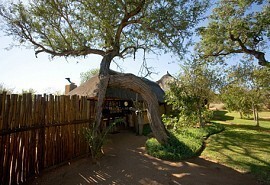 Londolozi Founders Camp offers a superb big five safari experience in the famous Sabi Sand Game Reserve. The camp is family friendly and welcomes children of all ages. 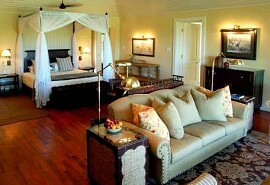 The chalets are luxurious and offer magnificent views as well as private viewing decks. Londolozi Founders Camp is a luxury safari camp and is situated in the midst of the famous Sabi Sand Game Reserve bordering the Kruger National Park in the west. 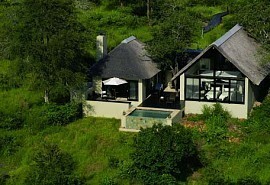 The lodge is considered one of the most exclusive and luxurious in South Africa. The camp is very small and can accommodate a maximum of 10 guests only, thus offering guests a personal and private safari experience. Londolozi Founders Camp offers prime game viewing and has been rated as the best game experience in Southern Africa. 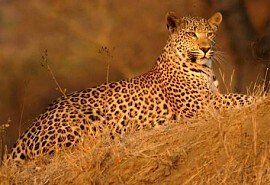 Guests can expect to see impala, greater kudu, giraffe, buffalo, lion and leopard. 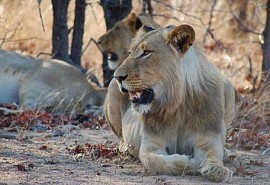 Sightings of lion prides are frequent at Londolozi. 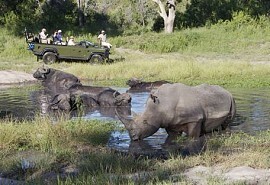 Activities include game drives and guided bush walks. Guests can explore the Sabi Sand Game Reserve on interpretive wilderness walks led by experienced rangers or expert Shangaan trackers and learn more about the areas intriguing fauna and flora. Londolozi boasts three senior trackers, graded by Louis Liebenbergs Tracking School. Elephant Plains Game Lodge offers a traditional safari experience where guests can enjoy close encounters with wildlife and experience the excitement of seeing the 'Big Five' at close range. Rattray's on Mala Mala promises a peek into an age old era from centuries ago where guests can experience the magic of true Africa in an elegant and sophisticated camp offering a unique safari experience. Dulini Lodge is charming and elegant and offers a traditional safari experience in luxurious thatched cottages on the banks of the Mabrak River; a peaceful setting in the heart of the Sabi Sand Game Reserve adjacent to the Kruger National Park.